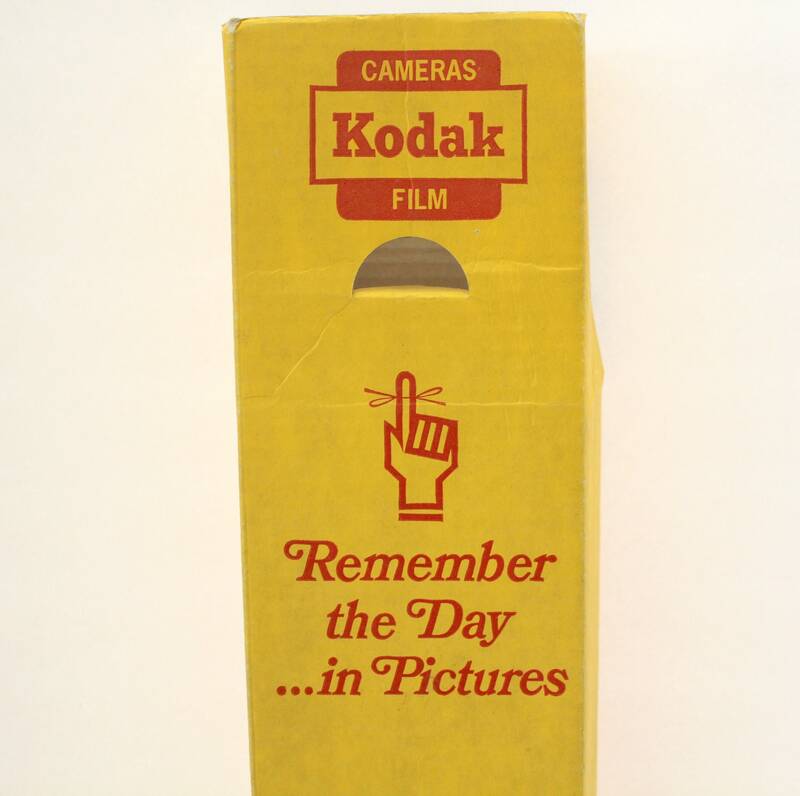 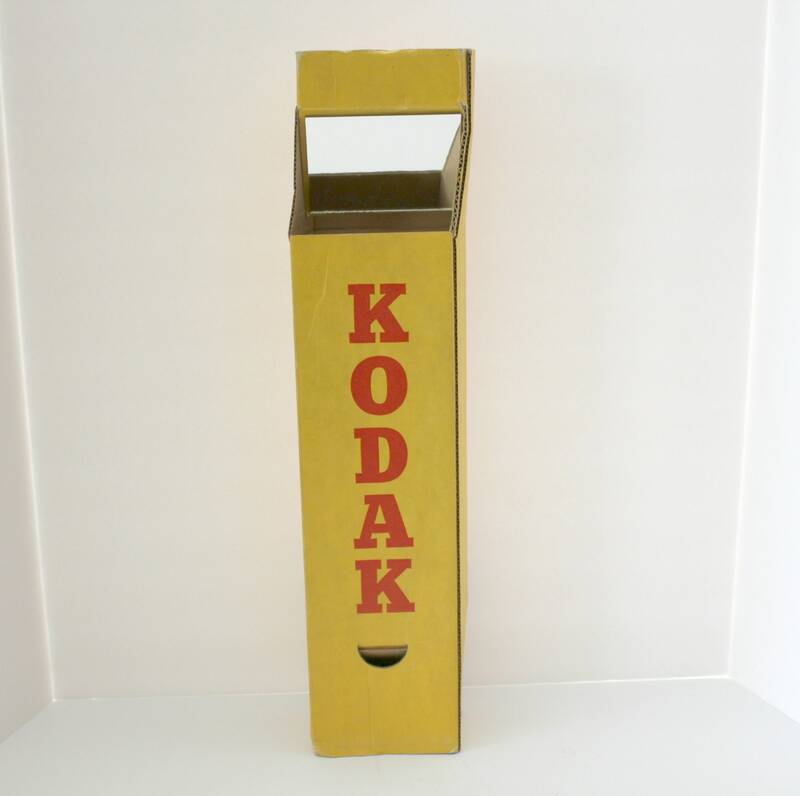 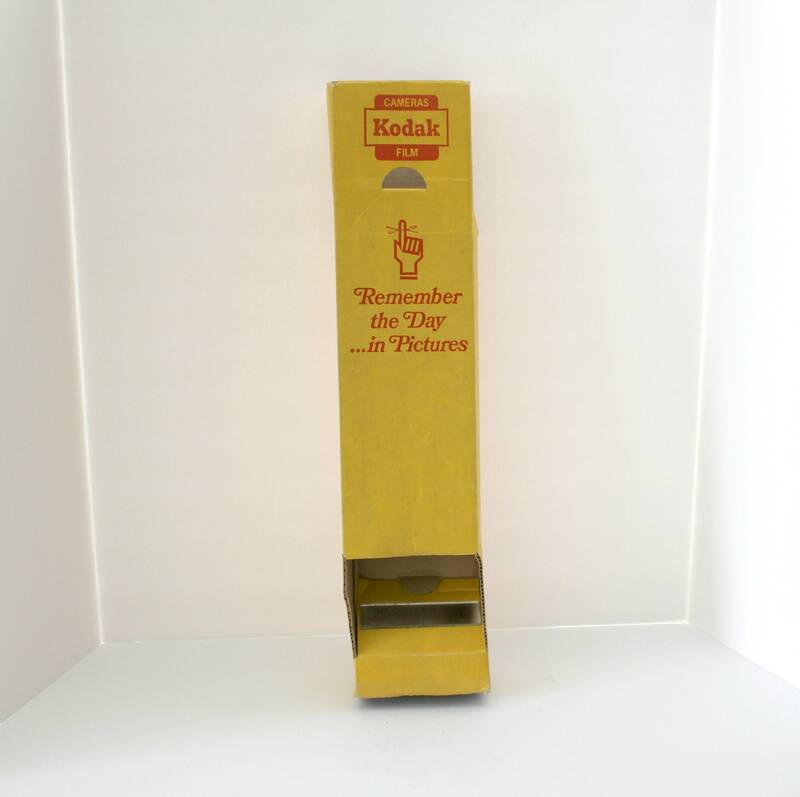 This is a rare vintage cardboard Kodak Cameras Film periscope viewer with the slogan "Remember the day....in pictures." 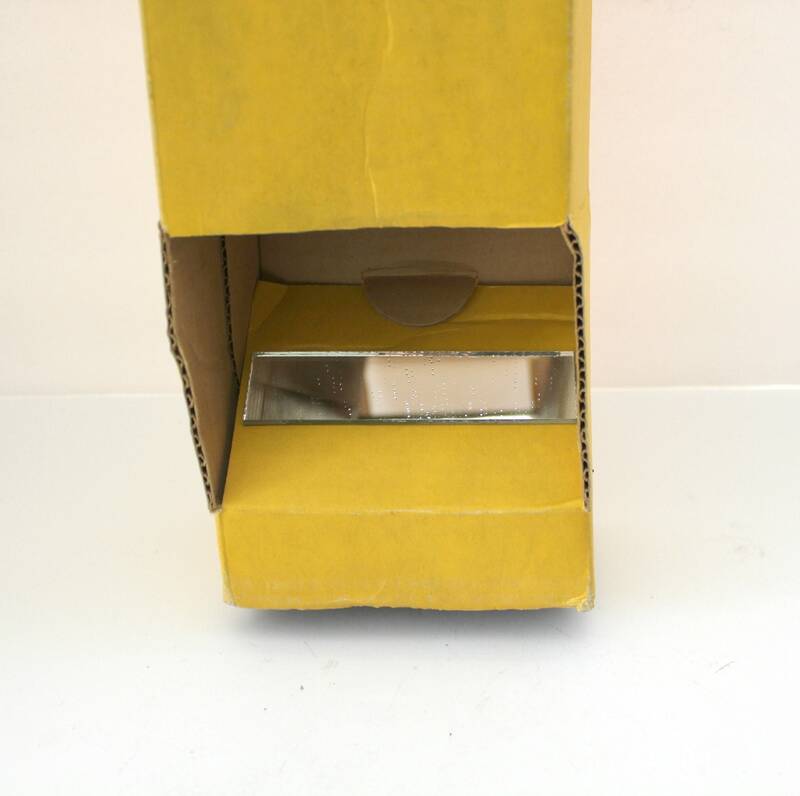 Measures about 4.5" x 2.75" x 20" tall and can be folded flat for storage. 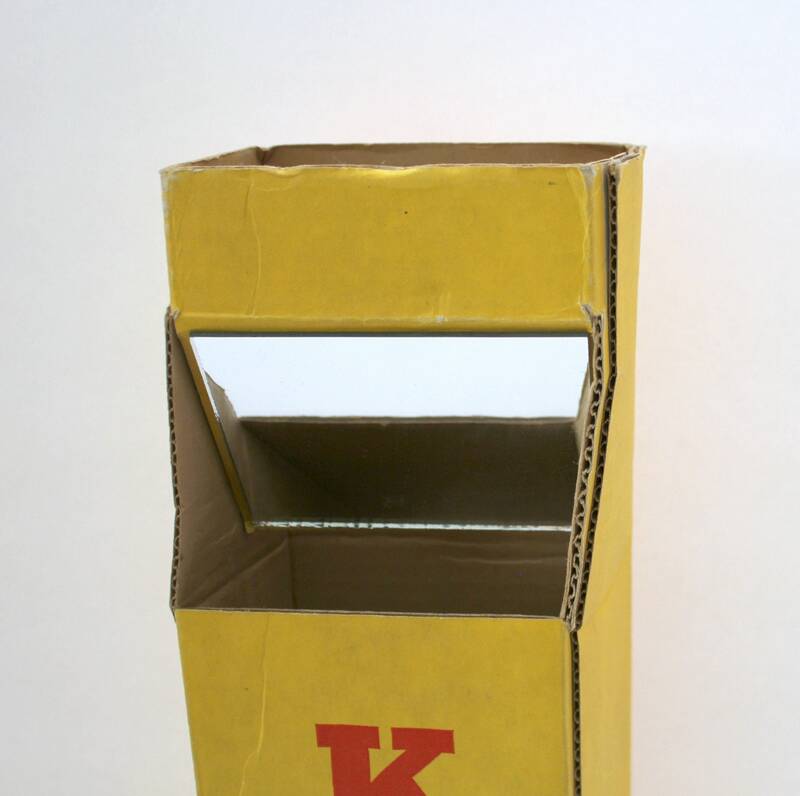 Cardboard construction with two mirrors, one smaller one at the bottom you look through and a larger one on the opposite side on top to show you what is above or around a corner from you. 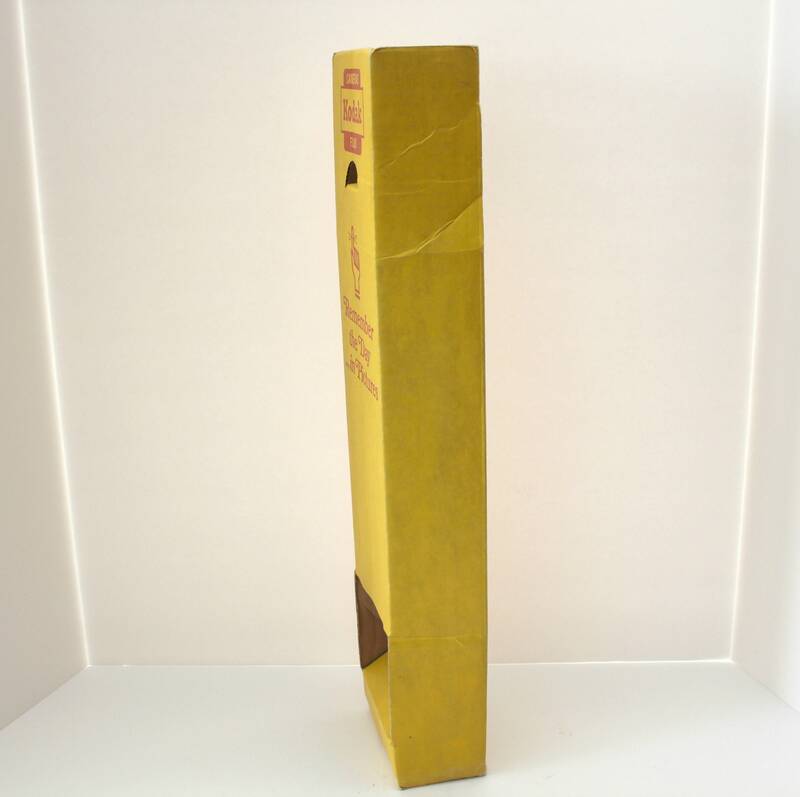 Condition is good, considering most likely not many of these survived. 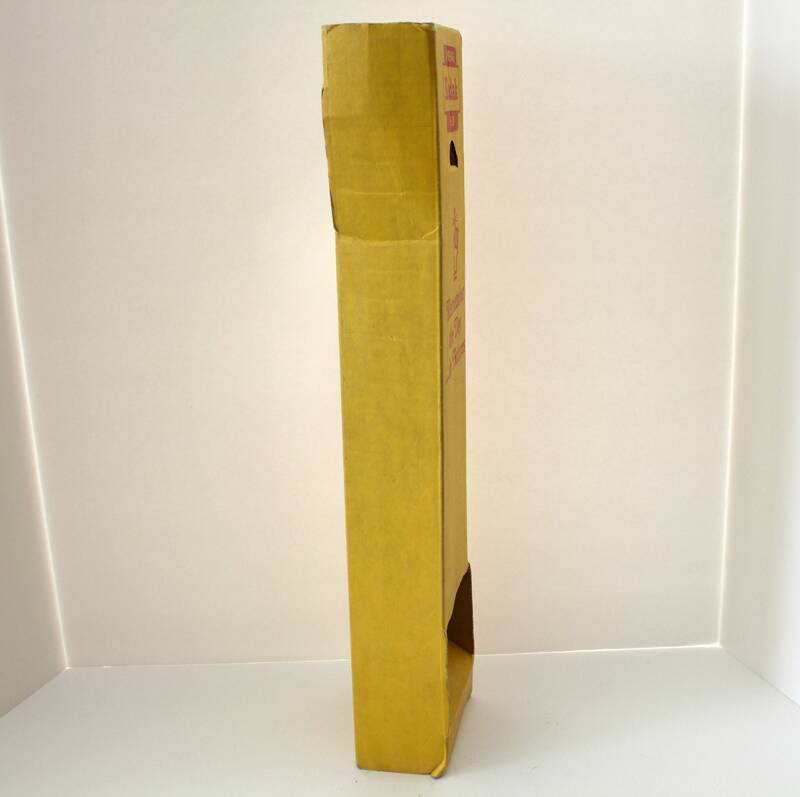 There are some bends in the cardboard, but nothing major, and some light soiling.